The morning of October 18th, my alarm went off at 5:45 am. I washed my face and dressed in a rush, then started the car before the sun came up. I had an hour's drive ahead of me to the hospital where my mom was having surgery that morning. When I saw her, she requested something healthy for lunch, so I strolled the farmer's market (conveniently located at the hospital) looking for a few things to pick up for her. A woman selling hummus gave me samples. I told her it was for my mom who was in surgery, and that I'd probably be back in a bit to choose something. When I returned, she asked how my mom was, and suggested tabbouleh because the parsley would be easy to digest. 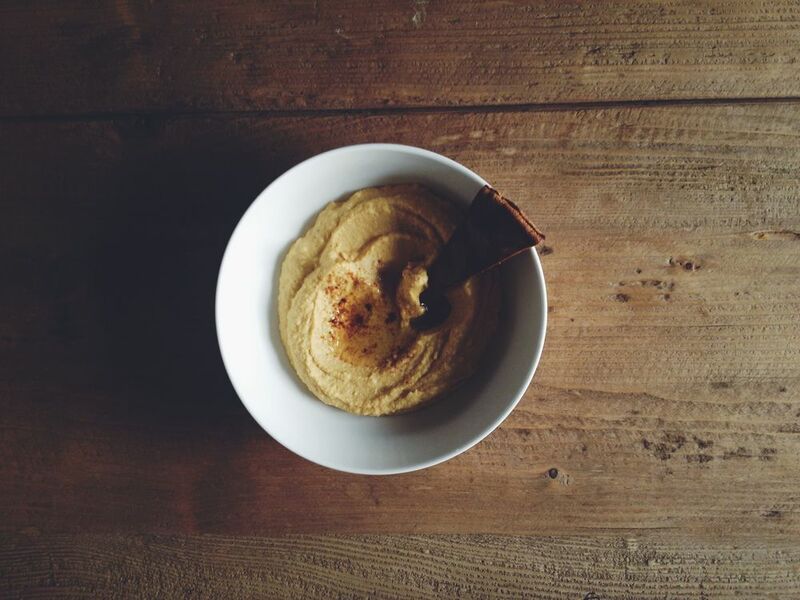 Also, a pumpkin hummus that would be healthy and comforting. A nurse standing at the hospital entrance asking if we'd gotten our flu shots yet. A volunteer reminding everyone in the waiting room that the market would close at 1 pm. And a woman selling more than 10 varieties of hummus on a typical Friday morning, sweet enough to ask how your mom is doing. There is poetry in kindness, don't you think? You can make this taste more like pumpkin pie, but I prefer a lighter hand with the warm spices. Just a pinch is all you need. If you'd like to increase the spice, start small, taste, and add more until it tastes right to you. Add everything to the food processor and let it run for several minutes, until very smooth. Taste and adjust seasonings, if necessary. Serve with a drizzle of oil and a sprinkle of cinnamon.